Kidderminster Harriers have signed free agent Rob Taylor and taken teenager Tahvon Campbell on loan from Premier League side West Bromwich Albion. Left-back Taylor, 30, has agreed non-contract terms with the National League club, while 18-year old striker Campbell has joined until January. Taylor spent much of his career with Port Vale, making 181 appearances, and ended last season at Tranmere Rovers. Campbell is the third loanee to join Gary Whild's side from Albion. 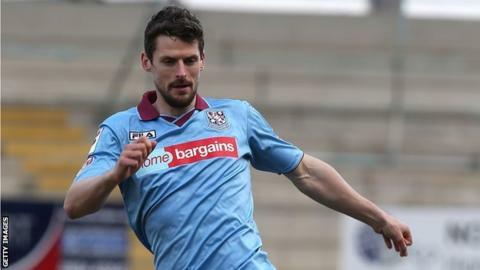 He joins 24 hours after winger Andre Wright moved to Aggborough to join goalkeeper Alex Palmer, who signed a deal in June.